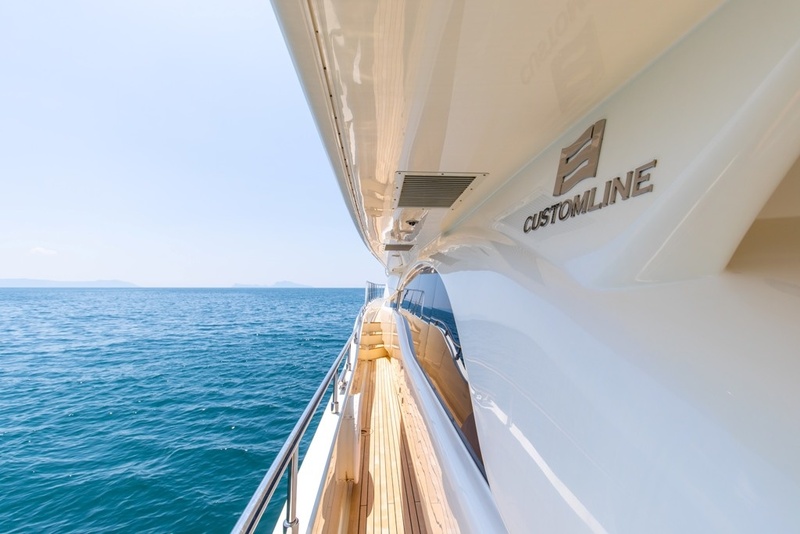 Part of Ferretti’s Custom Line 97 range, Penelope was built in 2008 with a complete refit in 2018, which increased the internal volume and provides accommodations for up to 12 guests. 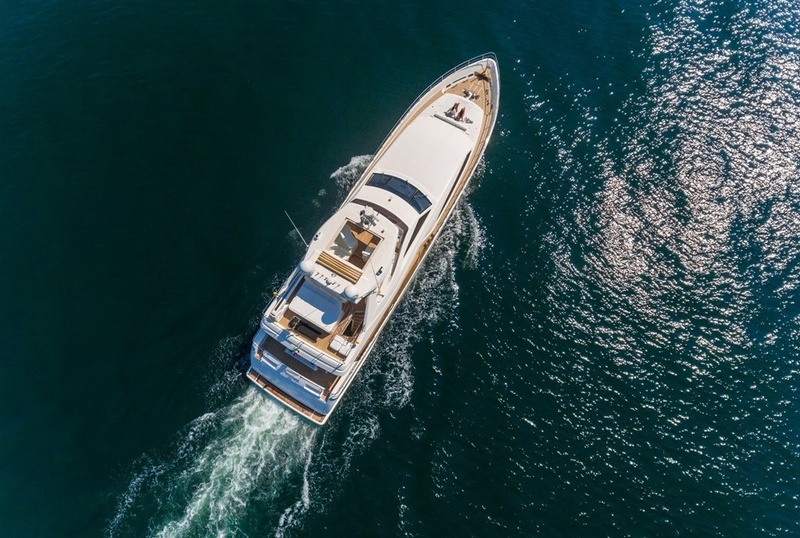 This is the first year Penelope is available for charter in idyllic locations across the Mediterranean and is moored in Marina di Stabia, in the Gulf of Naples. This beautiful stretch of the Italian coast offers guests a host of sunbathing hot spots and dining opportunities. 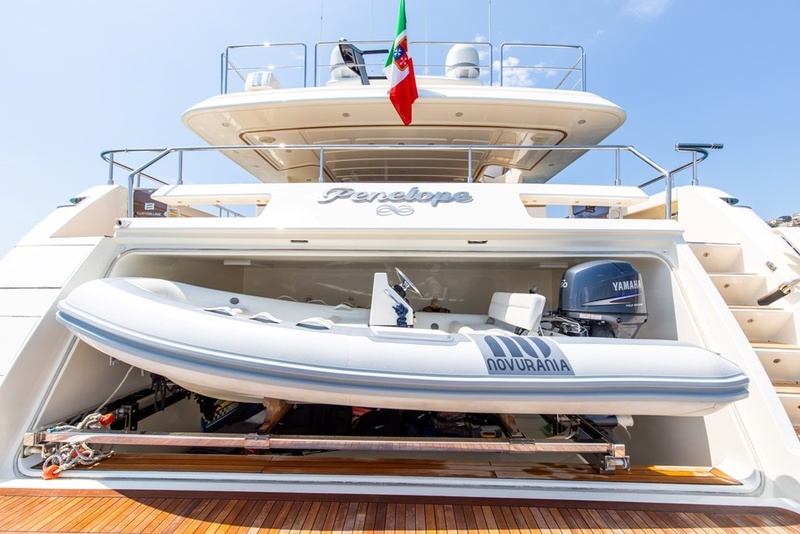 Penelope’s charter manifesto begins in the rugged landscape of Capri in southern Italy, at one of the Island’s best-know attractions, the Blue Grotto. Guests can enjoy spectating the scenic cove-studded coastline while relaxing in the Jacuzzi or take a dip into the natural, exquisitely blue waters. 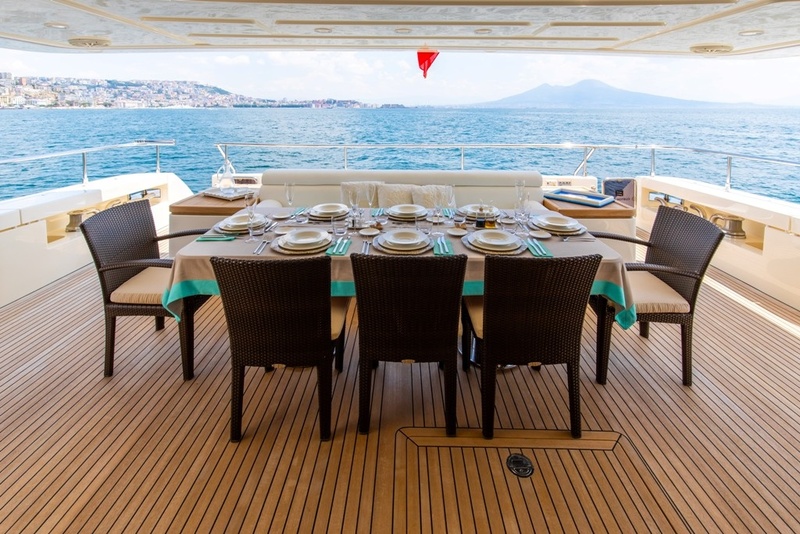 The motoryacht’s exterior offers al fresco dining making any dining experience special especially with a backdrop of picturesque Ischia. The medieval castle, Castello Aragonese, has stood for nearly three centuries and remains one of Ischia’s most iconic sights. Guests can continue their adventure into Ischia’s famous thermal waters that can be found in thermal parks and gardens, natural spas and wellness centres. Aphrodite Thermal Gardens in Sant’Angelo has 12 pools ranging from 20-42 degrees Celsius ensuring comfort for all visitors. 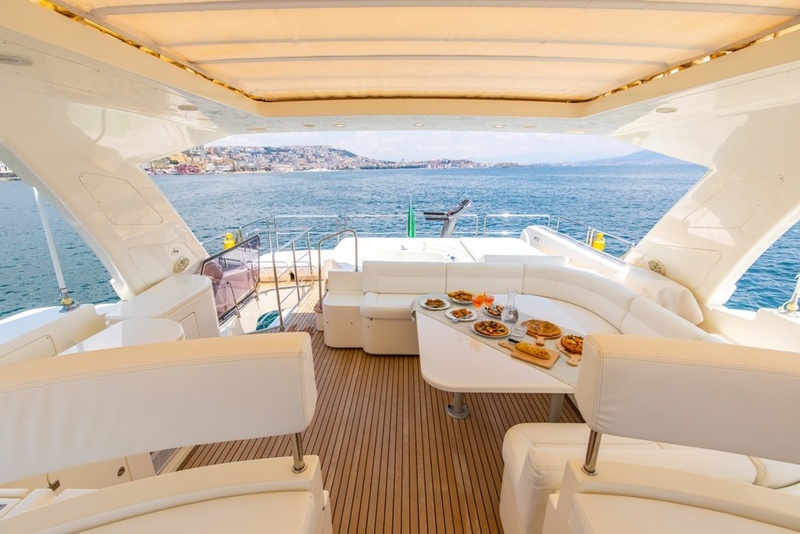 Immersing in conversation amongst family and friends can be further enjoyed ashore from a choice of ravishing dining spots the Amalfi Coast has to offer. The rugged coastline layered with pastel colour is staggered with an array of extravagant restaurants including the Michelin-starred restaurant, Zass. Chef Alois Vanlangenaeker says, “My aim is to enhance the existing product. I have great respect for the ingredients.” Experience authentic Italian cuisine with locally sourced ingredients from Il San Pietro’s vegetable gardens and local farmers. 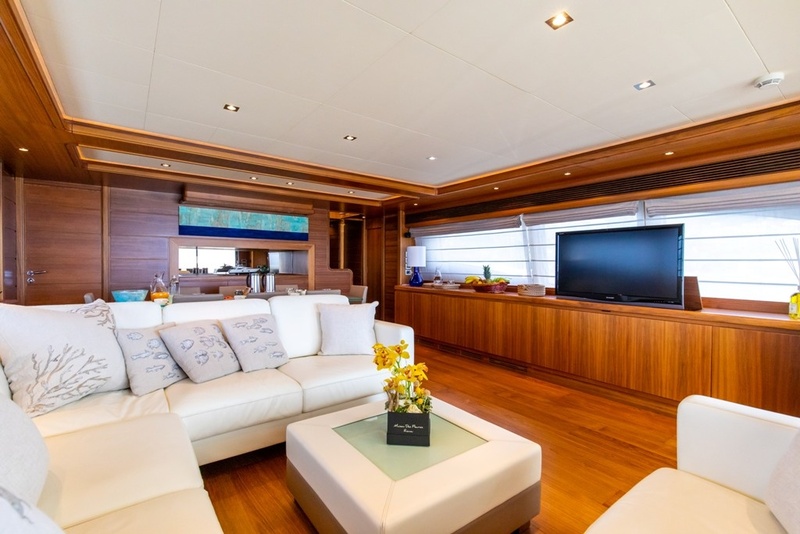 If guests prefer to dine on-board Penelope, the superyacht features a teak dining table located on the aft deck with talented chef Daniele providing the very finest, mouth-watering homemade recipes from handmade pizza and focaccia to Italian pasta and seafood dishes. 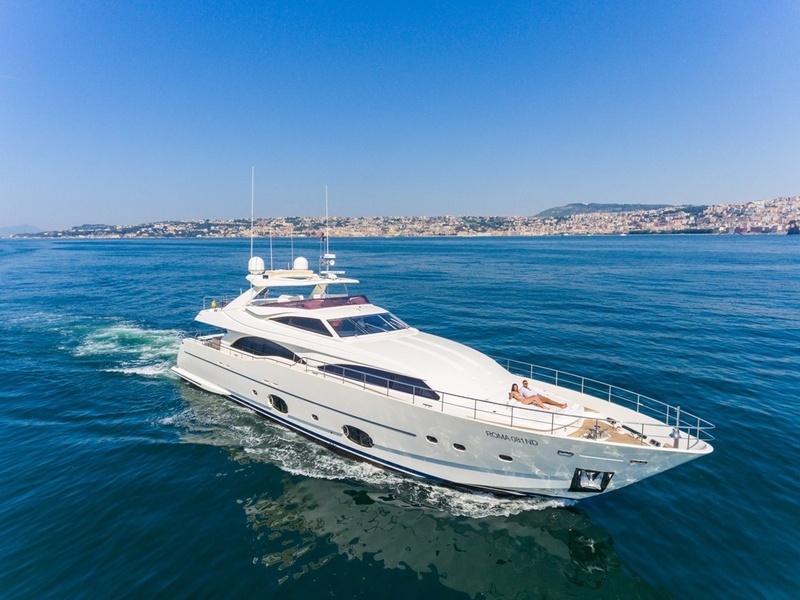 With only skimming across the surface of what the Mediterranean has to offer; guests are ensured that this isn’t their first or final charter to the region onboard M/Y Penelope. 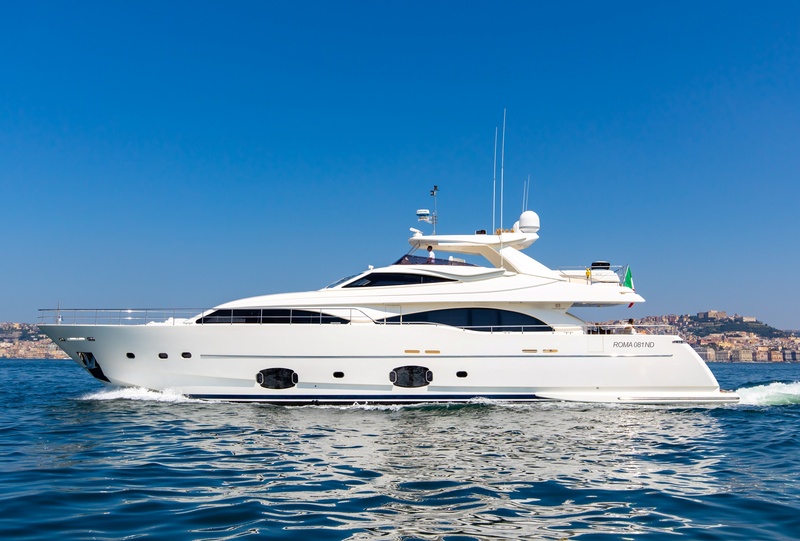 M/Y Penelope is now available for charter with Flying Charter in the Mediterranean starting from EUR 55,000.